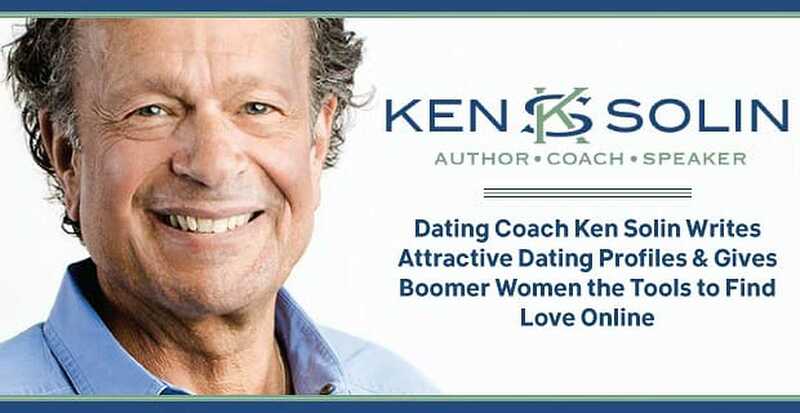 The Short Version: Ken Solin is a boomer dating coach with decades of experience advising singles over 50. This voice actor got into the dating industry by working as a dating columnist for several online magazines, including The Huffington Post. As he delved into the topic of emotional relations between men and women, he found people turning to him for help with their love lives. Older generations often didn’t know how to navigate online dating, and Ken found himself able to apply his own personal successes in that area to help women over 50 land a quality date. His support and guidance empower women to take control of their dating experiences and meet emotionally balanced men on dating websites. Ken recently penned a book, entitled “Your Guy Is Out There: Dating Tips For Women Over 50,” to spread his knowledgeable insights via audiobook and ebook. Ken supplies women of a certain age the tools to successfully find a compatible partner with long-term potential. 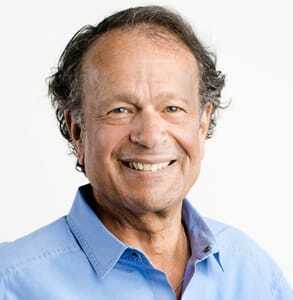 Ken Solin is a dating coach, author, and columnist with decades of relationship experience. Connecting men and women on an emotional level gets Ken fired up. As a dating columnist and author, he’s written about dating for AARP Magazine, The Huffington Post, Maria Shriver, About.com, and a host of other online magazines for several years. He lends his insight into dating relations as a way of leveling the playing field for single men and women over 50. “There is a huge emotional disconnect between men and women,” said Ken in our talk with him. Today, he coaches women over 50 to bridge the gender divide so older daters feel more confident when online dating. With a distinctive hands-off approach, Ken shows women how to seek out a man with long-term potential on dating websites. This relationship columnist gives daters the tools to date with emotional understanding and targeted strategies. Ken will write a dating profile for a female client, but he won’t hover over her dating choices after that. He simply makes his experienced recommendations and then lets her take it from there. Ken’s interest in online dating began about 12 years ago when he was single and looking for love. “I thought it was a real gold mine,” he said about dating websites. “It’s an interesting way to find dates.” At the same time, he realized the space created unbalanced experiences for men and women, especially in senior dating, so he decided to help women fix up their profiles and fine tune their approach online. In his dating coaching, Ken takes on two female clients at a time in a short-term workshop to get them headed in the right direction. He teaches his clients to navigate the online dating world for themselves with dating strategies that he has seen work numerous times. As part of his program, he urges his clients to ask a few targeted questions to find out if their matches are men of quality. Finding out if he has friends or if he’s taken steps toward personal growth, for instance, can tell you what long-term potential the date has. Over Skype and on the phone, Ken outlines proven methods to help his clients find compatible dates on the web. He encourages female baby boomers to be proactive and not sit idly waiting for their dream date to show up in their inbox — he wants them to seek him out for themselves. In recent years, Ken has expanded his brand from online columns and podcasts to ebooks and audiobooks. “Your Guy Is Out There: Dating Tips For Women Over 50” empowers mature daters with straightforward advice on finding a quality partner. In his book, Ken upends conventional thinking that seeking a good man online is like searching for a needle in a haystack and offers proven methods to narrow the field in a smarter way. You can find this inspirational guide on Amazon, Kindle, iTunes, and Audible. It is available as an ebook or audiobook for the reader’s convenience, and Ken himself narrates the audiobook version. 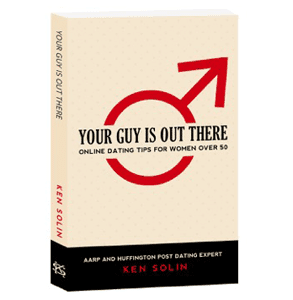 “Your Guy Is Out There” by Ken Solin offers a comprehensive guideline toward finding an ideal match online. In the span of 119 pages, Ken dives into important tidbits a recently divorced or widowed woman needs to know before re-entering the dating scene. Modern dating can be an unsettling place if you don’t know what to expect, and this book thoroughly explains, from the perspective of both genders, how to navigate dating websites more effectively. “Online dating is the one place where women over 50 are unequal to men,” Ken writes in the book description. His book takes an extensive look at the modern dating space with deep emotional understanding. Over the years, Ken has seen many senior women find their perfect match by using his dating strategies. He told us the story of one 70-year-old client he took on two years ago when she needed help setting up an online dating profile. He wrote the profile, gave her tips to find the right guys for her, and let her handle the rest. At first, she didn’t have much success and felt discouraged. Ken pushed her to get online at least once a week and not to give up on the process. He repeatedly called to give her encouragement until, eight months ago, she met someone special. Ken’s coaching has given many baby boomer women the confidence and skills to online date more effectively. His focused approach quickly puts his clients on a path to meet their long-term partners online. With empathy and determination, Ken endorses sharing feelings openly as a way to build strong bonds, and ultimately he hopes to bridge the divide between the genders through his dating columns, books, and coaching. Ken equips his female clients to tackle online dating on their own within a few months. He doesn’t want women over 50 to feel dependent on his guidance but rather to see it as a jumping off point to improve their dating skills in the long term. After he writes an engaging dating profile, he lets his clients decide where and how she wants to use it because she’s the top authority on what she wants. What Ken seeks to do is give single women a thorough, level-headed approach to reach their goals. For more information about Ken Solin, visit www.kensolin.com.